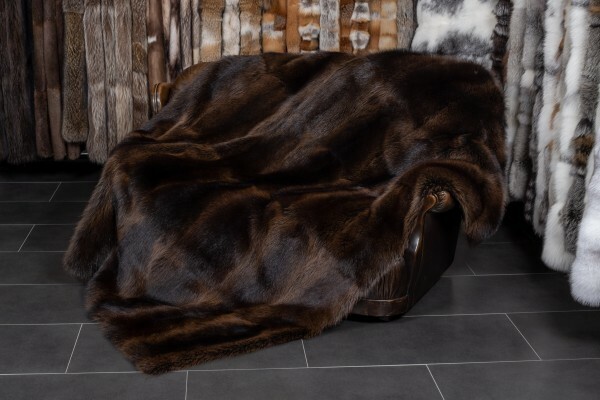 Dark brown raccoon blanket from Canadian raccoons - the natural living trend for your cozy home. This raccoon blanket ensures a comfortable, warm and decorative flair. Our raccoon blanket has a gorgeous brown color, it is durable and the perfect fur blanket for every season. Matching raccoon fur cushions in different shapes and sizes are available immediately. Related links to "Raccoon Blanket from Canadian Raccoons"
Customer reviews for "Raccoon Blanket from Canadian Raccoons"